7th Rangers: Gimme me my Free Money !!!! 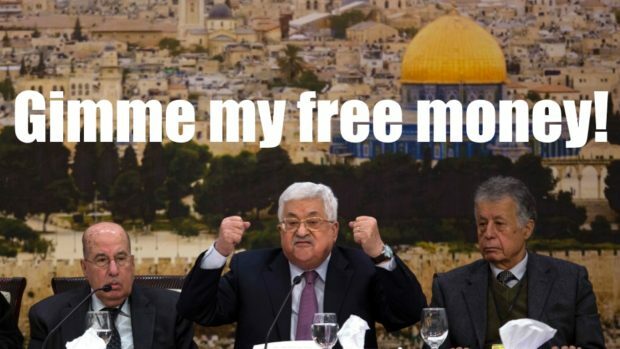 BCF : The United States has quietly frozen its aid to the Palestinian Authority (PA) pending review, i24NEWS has learned. The move comes two months after Congress passed the Taylor Force Act, which aimed to force the PA to terminate its “pay-for-slay” policies of paying stipends to convicted terrorists in Israeli jails and to the families of dead terrorists. The act orders that US assistance to the West Bank and Gaza “that directly benefits the PA” be suspended unless the Secretary of State certifies that the Palestinian Authority has met four conditions: terminating these payments to terrorists, revoking laws authorizing this compensation, taking “credible steps” to end Palestinian terrorism, and “publicly condemning” and investigating such acts of violence.